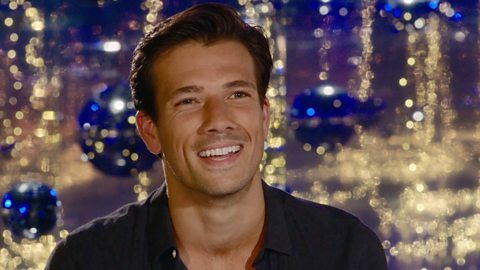 He’s charmed Hollyoaks viewers as wheeler-dealer Dodger Savage, but now it’s time for actor Danny Mac to step out of character and put himself front and centre, as he joins Strictly 2016. "The adventure was the reason I wanted to take part in Strictly"
I have no idea how this is going to go, to be completely honest. I feel like I’m jumping out of a plane and hoping the parachute will open! While it might be hard to imagine Dodger Savage getting all twinkle-toed, his real-life alter-ego has dance is in his blood. Danny studied acting for two years at Chichester, before getting a scholarship to the Arts Education School (where his fellow alumni include Strictly’s very own Darcey Bussell). Long before Hollyoaks came a-knocking, Danny was a fully-fledged board-treader, starring in productions of Wicked and Les Miserables. But since 2011, he’s been a firm fixture in soapland, and now he’s itching to get back to his roots. Unfortunately, Danny knows that doesn’t mean he’ll be taking to ballroom like a duck to water, and he’s scared to even consider any kind of prep.